Any commodity market where one has to go back in time to the U.S. Civil War to find higher prices has to be considered one of the classic bull markets in recent history. The market in question is the Cotton futures market, where prices are now trading at highs not seen since the 1860”s! 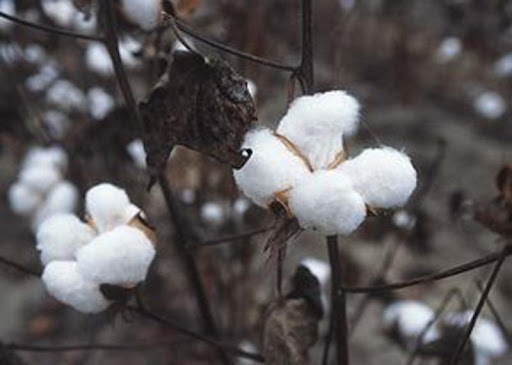 The Cotton bull market was a “perfect storm” of lower than expected supplies, as production from the U.S., Pakistan and Australia was not sufficient to meet the surging demand from Asia, and particularly from China. Though the “bullish” supply/demand equation is likely the major reason for sharply higher Cotton prices, the most recent price surge may be tied to buying by cotton mills who have been holding back on purchases in hopes of lower prices, but who are now being forced to “pay up” to obtain needed inventory. In addition, first notice day for March Cotton is fast approaching, with few willing sellers among commercial interests. Those caught short March Cotton may be forced to aggressively bid-up prices to draw out sellers as delivery approaches. With Cotton demand expected to remain robust this year, new-crop December Cotton prices have also moved steadily above the $1 per pound level, as prices must be competitive to compete for acreage with Soybeans and Wheat. Internationally, Cotton production is expected to increase this year, with sharply higher Cotton planting estimates coming in from China and Brazil, and potentially the U.S. The Cotton market is once again validating the old trading adage that “the cure for high prices is high prices,,” meaning that if there is an economic incentive to do so, producers will increase production sufficiently to meet demand. So unless Mother Nature has other plans, we should see sharply higher Cotton production later this year, which may finally put an end to this historic bull market.